The team at Dental Beauty PA consists of dedicated individuals who are kind, friendly, and caring. Their staff is there to ensure a pleasant experience during your visit to our office. Their team includes experienced and energetic people whose goal are to communicate well with their patients and provide the best care possible. 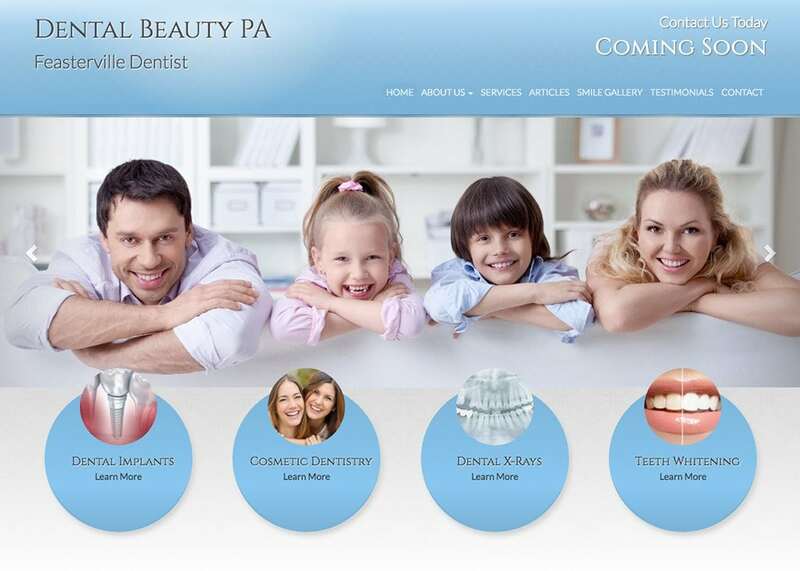 The color scheme includes light blues and whites to provide a clean look to their dental website. The rotating slideshows features bright and friendly images to welcome visitors to their site. Featured services are highlighted on the main page to draw attention to key information. Plenty of white space throughout the site allows the important information to be easily read.